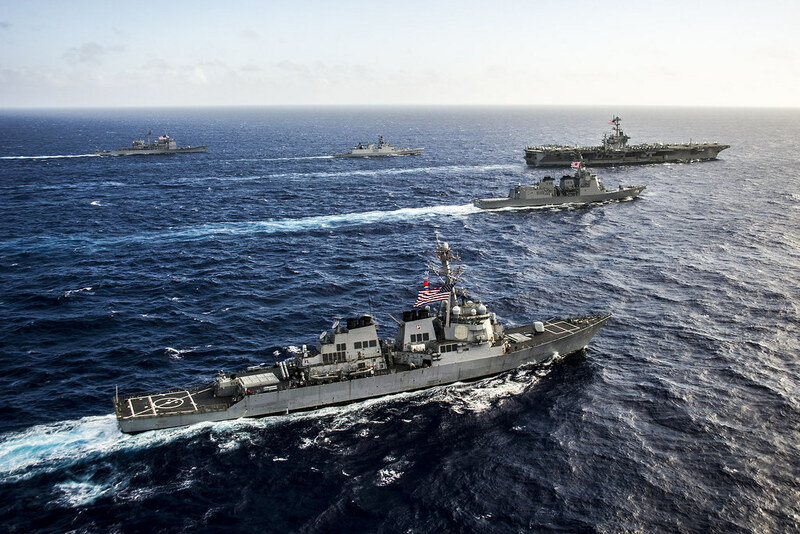 YOKOSUKA, Japan - Naval ships, aircraft and personnel from India, Japan and the United States will participate in exercise Malabar 2018, in mid-summer 2018 off the coast of Guam. The exercise will feature both ashore and at-sea training off the coast of Guam in the Philippine Sea. Training will focus on high-end warfighting skillsets, subject matter expert and professional exchanges, combined carrier strike group operations, maritime patrol and reconnaissance operations, surface and anti-submarine warfare, medical operations, damage control, helicopter operations and visit, board, search and seizure (VBSS) operations. Indian, Japanese and U.S. maritime forces look forward to working together again to build upon and advance their working relationship. Each iteration of this exercise helps to increase the level of understanding between our Sailors and interoperability between our three navies. For a list of participating Indian forces, please refer to the Indian Navy Headquarters. For a list of participating Japanese forces, please refer to the Japan Maritime Staff Office. For information regarding U.S. Navy participation, contact Lt. Cmdr. Matt Knight at CTF 70 Public Affairs, by telephone at 1-808-653-2093, or by e-mail at william.knight@ctf70.navy.mil.